R.B.I. 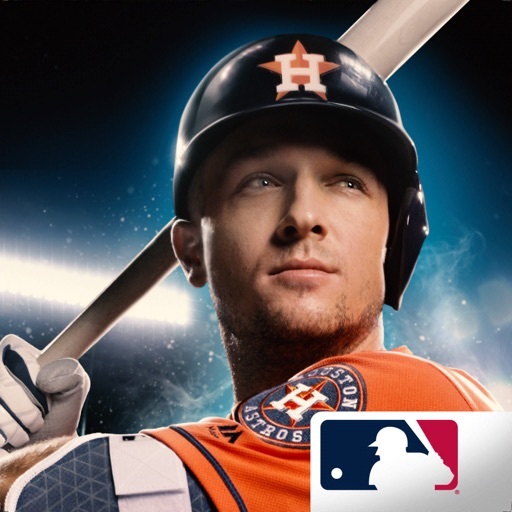 Baseball 19 App Data & Review - Games - Apps Rankings! The applications R.B.I. 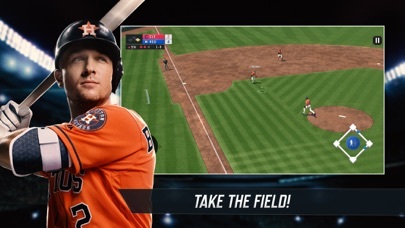 Baseball 19 was published in the category Games on 2019-03-22 and was developed by MLB. The file size is 2.44 GB. The current version is 1.0.3 and works well on 11.0 and high ios versions. Do you like R.B.I. 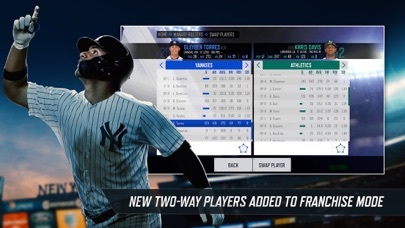 Baseball 19 applications? Please share! Fielding is easy. The problem is batting. It is impossible to hit the ball out of the infield. I either fly out or strike out. Batting has a lot to be desired. They make it almost impossible to get a base hit. 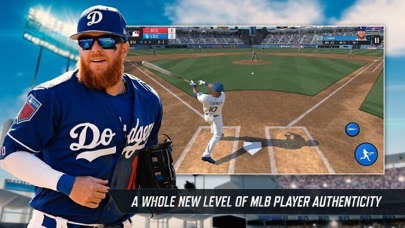 Problems: - Slow and clunky gameplay - Phone is heating up way too much - Batting is very boring and not fluid - Fielding is slow and clunky The whole game feels slow and awkward. In trying to make it “look” good they have lost a lot of the fun factor. I loved RBI 17 and RBI 18. I don’t even feel like playing this one...very disappointing. Gladly I kept RBI 18 and will probably just keep playing that one. No issues with the game itself. Actually is a fun baseball game. But buyer beware it brought my battery down from 75% to 20% in 5 minutes of playing and my phone got extremely hot. I have older hardware (iPhone 6s) but in the game description said it was supported. Game is unplayable on a 6s. Great graphics and realism. Reasonably fare hitting/pitching controls - not easy but not unreasonable BUT - This game runs HOT. Battery drain is substantial and I really can’t play this game for more than 20-30 mins. iPhone 8 Plus so hardware shouldn’t be a problem. I hate it so much!!!!! It glitches just so the stupid game could win! When ever I’m winning so much they just close out the app!!!! Don’t buy it it’s not worth the money!!!!!!!!!!! A Tough One to Judge Tyler L.
On the one hand, this is much improved from previous years. They’ve come a long way from ‘15. It’s a solid mobile game and is easy to knock out an inning here and there. That being said $7 is a lot to spend for a mobile game that is a bare bones baseball title. I feel like you get a deeper experience with MLB Manager, for less, even though you don’t play the games. 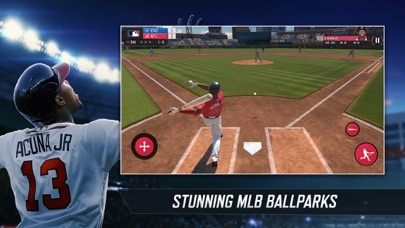 It would have been nice to include an HR Derby mode even if it was just a reskin of the HR Derby game. I was really looking forward to playing this game. This is the first year I bought it. But I am EXTREMELY disappointed with it. It’s impossible to hit the ball unless you’re swinging before the pitchers throws the ball. Also, I cannot play postseason games. It won’t let me advance. This is by far the worst baseball game I have played. Please fix it. It seems like this game was thrown together without any effort. I feel like have wasted $7. Graphics are great. 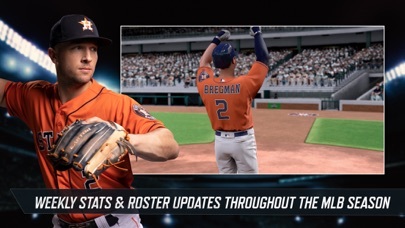 The enhancement of Franchise Mode is great for users that used to play the previous years of the game. Several negatives are: the batters swing too slow, and the defense prevails too much. Would love to have a personal journey in the game. The whole authenticity is pretty good tho! Some minor glitches, like helmets being grey instead of the team color with certain uniforms.. but all in all a solid baseball app for the iPhone. I really like that you can now choose the opponent’s uniforms as well. I paid the $7, downloaded the game and the screen stays black with 2 white boxes. When you click the box, it takes you to a webpage that says this app doesn’t work on your iOS. The app CLEARLY says works on this phone. I’ve waited 3 days for this to be fixed and it still hasn’t gotten updated. I need a fix I do not want a refund. I just want to play the game I’ve heard SO much about.. get your ish together DEV. Game play was fine, AI is a bit more difficult in this game compared to the previous, which I enjoy... it makes the game more challenging. Only problem that I’ve come across is you can’t play postseason games, only sim them. Fix it!! This is the WORST mobile Baseball game I have ever played controls seem to be an after thought and game is super glitchy. I have played better games for free.